As kids growing up in the Midwestern United States, my friends and I loved baseball. We spent many hours each summer day playing the game, and when we weren’t out on the sandlot, we were reciting the stats of top players, arguing the merits of our favorite teams, and trading baseball cards. Baseball is more than America’s pastime. It is a sport on which millions of Americans have cut their athletic teeth, laying a lifelong foundation of physical fitness and instilling important lessons about competition and character. Imagine my distress, then, in beholding the state of major league baseball in 2015. Stalwart players such as Carlos Gonzalez of the Rockies and Robinson Cano of the Mariners have been posting career-worst numbers, and even a venerable team such as the Boston Red Sox, which boasts the fourth-highest payroll in all of baseball, is stuck in last place in its division. And this problem of poor performance is not a fleeting phenomenon. Consider the Chicago Cubs, who have the worst home field record of any team over the last 50 years, and haven’t won a World Series since 1908. Clearly, the best interests of our youth, the American public, and baseball fans everywhere are not being well served by our current largely unregulated approach to baseball quality. Poorly performing players are appearing in game after game, and losing teams keep showing up on opening day season after season. This isn’t just a matter of pride. The economic implications of Major League Baseball are huge — the Los Angeles Dodgers have a payroll of nearly $300 million, and the New York Yankees franchise has an estimated worth of over $3 billion. Something has to change. To heal what ails baseball, we need to steal a page from the playbook of medicine. Specifically, we need to introduce the medical profession’s board system to the big leagues. Instead of leaving individual physicians and medical specialties to set their own quality standards, the profession of medicine has long closely scrutinized the performance of every aspiring entrant to the field. Thanks to the more recent introduction of maintenance of certification, the profession now ensures that medical practitioners continue to meet quality standards through their careers. This is just the prescription for baseball. As I see it, the organization would be called, the American Board of Baseball. Its mission would be to enhance the quality of baseball by certifying players who demonstrate the knowledge, skills, and attitudes essential to excellence in the game. 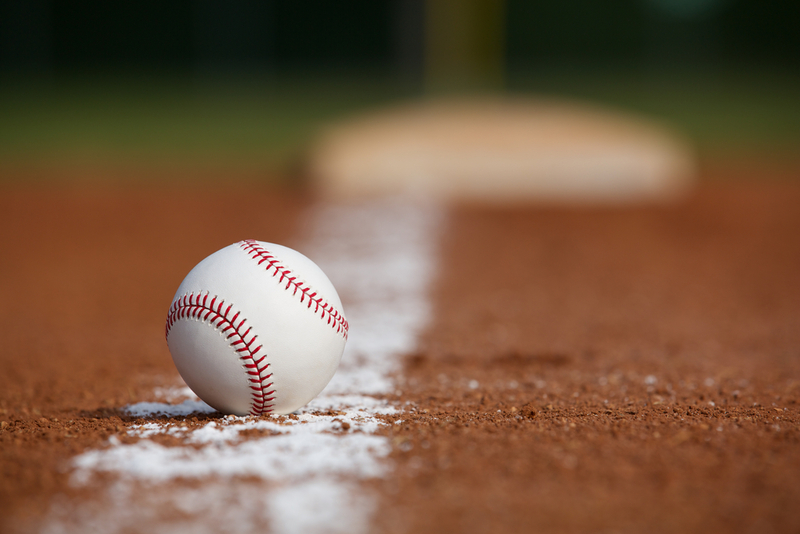 Though initially certifying all players through a single board, I predict that over the course of a decade or so, subspecialty boards would spring into existence, each focusing its attention more narrowly to ensure that players at each position rise to sufficient levels of quality: the American Board Pitchers, the National Board of Pinch Hitters, and so on. Why must baseball take this step? Baseball players and teams are accorded an extraordinary degree of autonomy by the public and our government. We ask fans to sacrifice hours of their day at game time, endure sometimes season-long slumps, and in some cases risk life and limb in the stands at the ballpark. If poorly performing players and franchises continue to prove themselves incapable of self-governance, it will not be long before other regulators less knowledgeable about the sport’s arcane stats and less imbued with the spirit of the game begin doing so for them. Recently, outrage has greeted the highly partisan conduct of Kansas City Royals fans, who have stuffed the ballot boxes for the 2015 American League All-Star team line up with players from their home team’s roster. This and similar incidents over the years demonstrate that baseball stands in desperate need of a system by which to fairly assess the quality of its players. Instead of relying on fans’ often-biased judgments or trotting out the same tired statistics that coaches have relied on for decades, it is time for baseball to implement a fairer and more objective system of quality control. Michael Lewis was on the right track in his 2003 bestseller, Moneyball, in which he argued that a more evidence-based approach to the game enabled the Oakland A’s to compile major league baseball’s best record, despite boasting one of the lowest payrolls in the game. Instead of focusing on batting averages, runs batted in, and stolen bases, the A’s focused on on-base and slugging percentages, which were more likely to produce wins. This was a huge move in the right direction, but it is now time to take the next step in evolution of baseball quality control. Ironically, the board movement in medicine and the sport of baseball both got rolling around the time of the Civil War. In medicine, patients had no one but physicians themselves to rely on to determine whether a particular practitioner was competent. So some decades later, American medicine created the boards, which were charged with weeding out unqualified practitioners. Over decades, these boards have developed objective and fair criteria for making these tough decisions, using such tools as standardized examinations. What I envision is a high-stakes, multiple-choice exam, administered by computer over perhaps several days, which every player would be required to pass before being allowed to play in the big leagues. I am not talking about esoteric trivia. I am talking about the basics of the game. Consider this sample question: What defines the bottom of the strike zone? A. Mid thigh. B. Just above the knee. C. The hollow beneath the knee cap. D. Mid shin. To allow any player who does not know the answer to ascend to the big leagues would represent an abrogation of the game’s professional responsibility. These standardized exams would be tailored for players at every position, with pitchers, catchers, first basemen, and so on each taking their own specialized exam. In the case of utility infielders and the like, players would have the option of either taking the exam for each position for which they wish to be eligible or sitting for a specially designed utility infielder exam that encompasses all four positions. If players failed the exam, they would be allowed to retake it up to three times. The high fees associated with each attempt would prevent players from returning before seriously boning up on the material. Of course, knowledge alone isn’t sufficient to ensure competence in baseball, any more than in medicine. So to a standardized exam, I would add other dimensions of assessment. These would include communication with fans, on whose interest and goodwill the entire sport depends; a commitment to teamwork, without which no franchise can succeed; and a systematic approach to safety, including regular use of equipment such as batting helmets and gloves, as well as safe practices such as “time outs” to avoid potentially catastrophic on-field collisions. Once players who passed the appropriate exam debuted in the big league, they would be required to participate in maintenance of certification by developing, carrying out, and reporting their own quality improvement projects. A pitcher might, for example, design a project to enhance his pivot off the mound, while a catcher might focus on delivering signs to the pitcher in a more covert fashion. The possibilities for improvement are literally endless. Once certification for players works up a head of steam, the system can be expanded to include owners, managers, coaches, and front-office personnel. Though such reforms are long overdue, baseball stands to benefit in some ways from the fact that it is playing catch up with medicine. For example, it took the medical profession decades to recognize the indefensibility of lifetime certification. How did anyone ever suppose that individual physicians could be trusted to remain up to date on their medical knowledge and maintain their skills of their own accord? Baseball won’t need to repeat this error, instituting maintenance of certification and continuous quality improvement to ensure that all its personnel are performing competently from the word go. Hidebound players and fans may worry that such a system would lodge too much power in the hands of the baseball boards – power that could be used in a monopolistic fashion to impose frivolous requirements, raise fees to unreasonable levels, and prevent good ballplayers from making it to the big leagues. To this I say that any sort of certification or accreditation process will inevitably bring critics out of the word work, but such highly conjectural objections should not dissuade us from taking serious steps to finally ensure competence and quality in professional baseball. Richard Gunderman is Chancellor’s Professor, Schools of Medicine, Liberal Arts, and Philanthropy, Indiana University, Indianapolis, IN. This article originally appeared in the Health Care Blog.